Page one - The Nokia X: what's its secret? 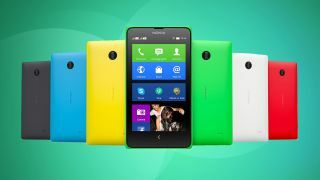 Page two - The Nokia X: what's its secret? While 2014 will likely be remembered for its Samsung, HTC, LG, Sony and Apple flagships, it's a trio of budget Nokia handsets that have been among the most unexpected and surprising releases so far. We're talking of course about the dramatically named Nokia X and its siblings the Nokia X+ and Nokia XL. They're phones which had tongues wagging ever since they were first rumoured for the simple reason that they were Nokia devices running Android. When they were finally revealed there was perhaps a sense of disappointment at just how low end they were, but that hasn't stopped the Nokia X from selling. According to Saulo Passos, Head of Communications, Mobile Phones at Microsoft Devices Group it's "getting a tremendous consumer response. In Russia, for example, it is the number one smartphone according to GfK market research firm. "The phone also enjoys that position in Pakistan. We are seeing great momentum also coming from China, Indonesia and Brazil." So what's the key to its popularity? The most obvious answer is that it's cheap, as in really cheap, so of course it's likely to sell well. That's even more the case when you consider that it's aimed primarily at developing markets, such as India and China where there are a huge number of people but many of them either haven't owned a smartphone before or can only afford entry level devices. Even so, you'd think there'd be a lot of competition. Nokia itself makes the Asha feature phone series which goes down well in many such markets while there are a number of locally made budget handsets in India from companies such as Karbonn, Lava and Micromax. Yet just as we'd be sceptical about the quality of such unknown quantities here, so too are Indian consumers according to The Times of India, which argues that before the arrival of the Nokia X the only real brand name smartphone available to entry level buyers was the Samsung Galaxy Star. With so little choice it's no wonder the Nokia X is doing well and speaking of brand names, Nokia is one which people trust. It's been around for a long time and even in developing markets a lot of people have had experience of it thanks to the Lumia 520, the Asha range and earlier feature and dumb phones. Indeed Azeem Ullah Hassan, a writer at the Pakistan based ProPakistani, tells us that "it is a huge influencing force in this region when buying a phone. Most people have bought a Nokia as their first phone so it remains a huge factor. Needless to say, then, that a large number of people buying the phone are buying because of the name." So the Nokia X is selling on its name and its price tag, but there's a lot more to it than that, after all if that's all it took then Nokia could just throw out another Asha or low end Lumia and be done with it. Current page: Page one - The Nokia X: what's its secret? Next Page Page two - The Nokia X: what's its secret?